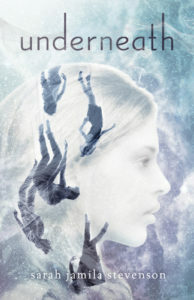 I write novels for young adults, represented by Caryn Wiseman of Andrea Brown Literary Agency. 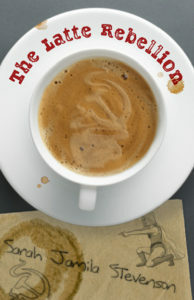 My first novel, The Latte Rebellion, was published by Flux Books in January, 2011 and Scholastic Book Clubs in fall of 2011. In May 2012, it received the bronze IPPY Award for Children’s Multicultural Fiction from Independent Publisher magazine. My second novel, Underneath, was published by Flux in June 2013. 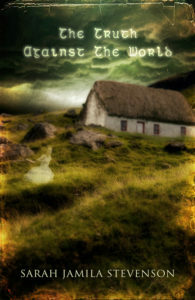 My third novel, The Truth Against the World, was published in June 2014 by Flux. When Olwen Nia Evans learns that her family is moving from San Francisco to Wales to fulfill her great-grandmother’s dying wish, she starts having strange and vivid dreams about her family’s past in the old country. But nothing she sees in the dreams—the people, the places—makes any sense. Could it all be the result of an overactive imagination . . . or could everything she’s been told about her ancestors be a lie? Once in Wales, she meets Gareth Lewis, a boy plagued by dreams of his own—visions he can’t shake since the day he met a ghost among the misty cairns along the Welsh seaside. With a supportive family, great friends, and a spot on her high school’s swim team, Sunshine “Sunny” Pryce-Shah’s life seems perfect. Until the day her popular older cousin Shiri commits suicide. The shocking tragedy triggers heart-wrenching grief, unanswered questions, and a new, disturbing ability in Sunny—hearing people’s thoughts. When Sunny “underhears” awful things about what her so-called friends really think of her, she starts avoiding them and instead seeks refuge with the emo crowd. But when she discovers her new friends’ true motives, Sunny doesn’t know who she can trust anymore. Feeling like she’ll drown in the flood of unwanted voices inside her head, she turns to her cousin’s journal for answers. Sunny must figure out how to keep everything from falling apart, or she may end up just like Shiri.